The best productivity apps for Android keep your life running smoothly and efficiently. They allow you to get information you need and communicate with others without feeling limited by a small screen. Whether you need to get in touch with colleagues to update them on your work progress or sign and return a document ASAP, the best productivity apps help you get it done and in a way that's ideal to the mobile environment. The number of apps in the Google Play store promising to make you more productive often seems limitless. But not every app deserves your time, money, and attention. In deciding on this list, we first narrowed down the top apps in the productivity category using two criteria: universality and context. Once we had a smaller pool of apps for consideration, we assessed them using additional criteria to find those that are the best for most people. For universality, we looked for apps that appeal to a broad category of people, rather than those that boost productivity only in specific industries or professional roles. For example, visual artists and social media managers likely need a rich photo editing app to work efficiently on the go, but people in other positions might not have any need for one. Conversely, a great file syncing app has much broader application because it gives you access to your files no matter where you are, for both personal and work-related situations, which makes life more productive all around. 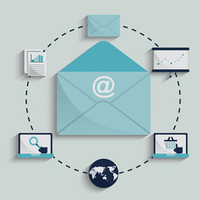 The next time you unexpectedly need to produce evidence of your mailing address or your child's school records, you'll be glad to have installed a file syncing app. Just be sure to save important files there. In terms of context, we asked, "What apps aid productivity when you're away from your computer and an Android phone or tablet is your primary internet-connected device?" Finally, we looked at the pool of apps we had so far and further assessed them based on a number of subjective factors, including quality, ease of use, design, and value. We assigned a secondary category to each app (other than "productivity") and limited our picks to one app from each. Even though we chose only one "best" app in each secondary category, you'll see a few honorable mentions for other excellent apps when they're warranted. 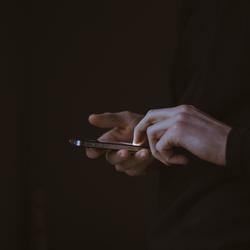 Those apps are by all accounts nearly as good as the ones picked for this list, and depending on your situation, perhaps a better option for you. Note: We didn't include built-in Android apps, such as Google Drive and Google Calendar, because you already have them. And while this list focuses specifically on Android apps, many of the apps are cross-platform and also appear on our list of best productivity apps for iPhone, iPad, Mac, and Windows (along with other recommended productivity apps for those operating systems). Here are the best Android apps for productivity we'd recommend most, based on researching and testing dozens of productivity apps. Among PDF viewers for Android, Adobe Acrobat Reader stakes a claim for being among the best because it's free, stable, and reliable. It offers the right balance of features you need to work with PDFs, such as annotation markup tools, without providing an amount that would be overwhelming on a mobile device. Pair Adobe Acrobat Reader with Adobe Scan (free) to add excellent and automated scanning functionality that works on a variety of paper sizes, including business cards. The two apps work together seamlessly. 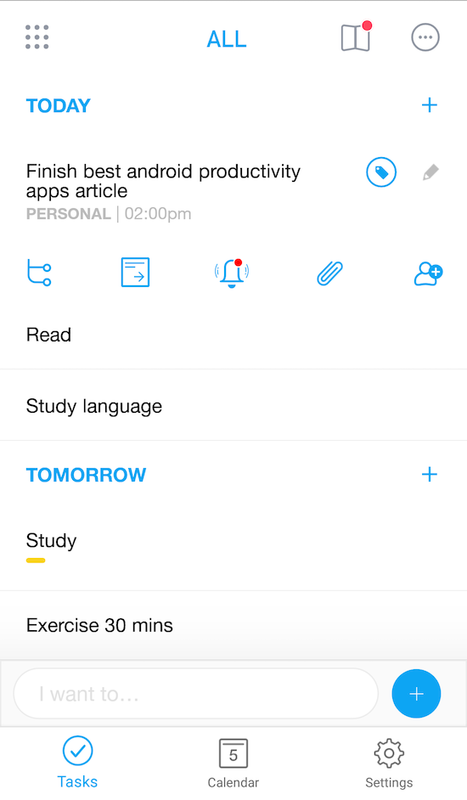 Any.do has been a favorite task management app on Android for some time, largely for one standout feature. 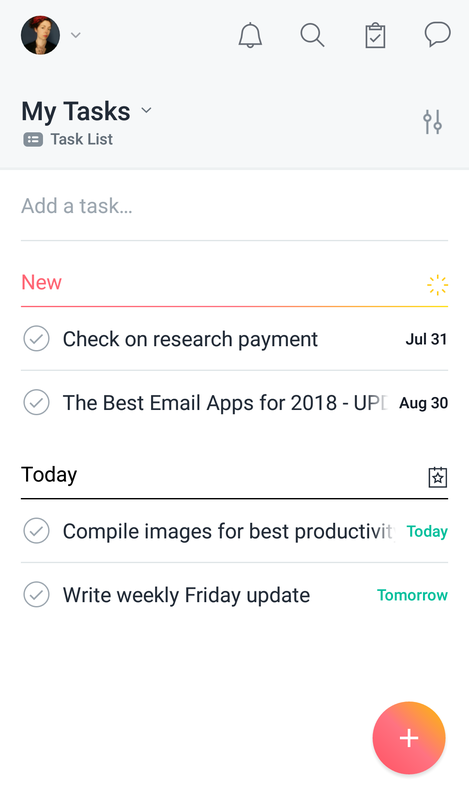 At the beginning of your day (or whatever time you set), the app prompts you to review what's on your to-do list, one item at a time, and either commit to doing the task or defer it until later. This strategy of reviewing what's on your list early helps you know what lies ahead for the day and better manage your time. Any.do has a free tier of service with some limitations, as well as a reasonably priced Premium plan that adds location-based reminders, unlimited collaboration with others, fine controls for recurring tasks, and more. Any.do is available for iOS and the web, with plugins for Amazon Alexa and Slack, too. A shout out and honorable mention goes to Todoist for being another of the best all-purpose task-management apps, and one worth installing on your Android device. Collaboration features make it great for managing shared household chores as well as small, team projects. Asana's Android app makes it simple to keep up with the state of your team's work while you're traveling or offsite. As a collaborative work-management app, Asana often contains a lot of information, and the design of the mobile app makes it easy to see what you need when you only have a small screen at hand. The app lets you tell your teammates the status of all tasks assign to you, letting you push them forward and assign the next steps no matter where you are. While some people refer to Asana as a project management app (and it certainly can be one), it also works extremely well for managing ongoing work—in other words, work that doesn't necessarily have a fixed start date, end date, and deliverable. Its flexibility in helping you manage both projects and ongoing work makes it one of the best apps for aiding productivity. Asana is also available as a web app and iPhone app. Automate by Llama Labs is an app that helps you build and run automations from your Android device. For example, you can create a command that turns off both Bluetooth and NFC on your phone and then enable them by pressing one shortcut button. Or you could create a command that sends a text message whenever you're in a certain location to let loved ones know when you're leaving work. While it isn't the easiest automation creation app we've ever encountered (it involves flowcharts, which may or may not be your cup of tea), there are some premade automations you can explore and use with just a few taps. Overall, it's one of the better automation apps for Android because it supports a wide range of functionality. The $2.99 app Tasker deserves an honorable mention in the category of apps that create automations for Android. 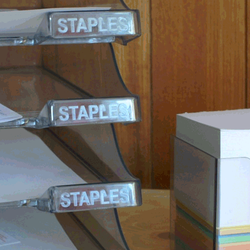 It's trickier to learn to use than Automate, but more powerful and productivity-boosting. 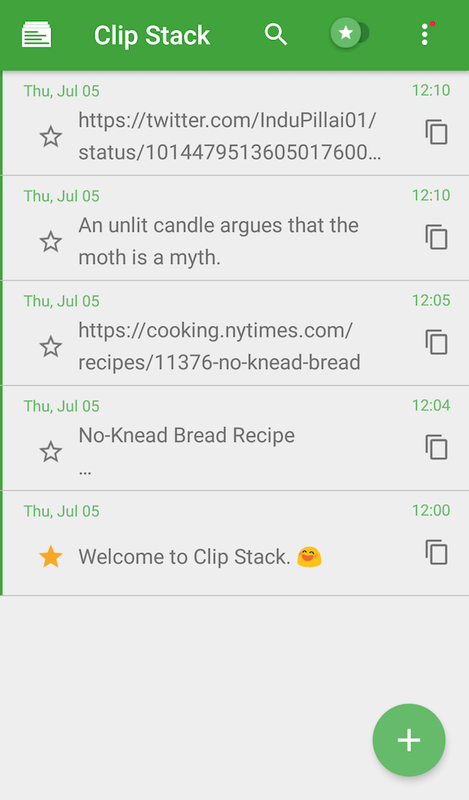 This free clipboard manager app for Android is simple and easy to use, even if you have no experience working with clipboard apps. Whenever you copy text on your Android phone or tablet, Clip Stack saves it so that you can reuse it whenever you need. It saves you time and makes you more productive, especially if you tend to write or answer a lot of messages using the same words and phrases. DocuSign is one of those apps that you have no need to install until suddenly you do, and from that point on, you end up using it often. This app and service has a niche purpose: to enable secure and official electronic signing and delivery of documents. 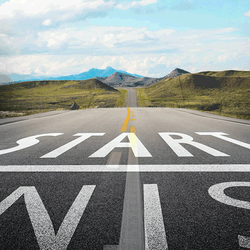 While competitors exist, DocuSign is quickly becoming the de facto choice in many markets. For example, if you intend to buy or sell property anytime soon, save yourself some time by downloading the app and creating an account now. 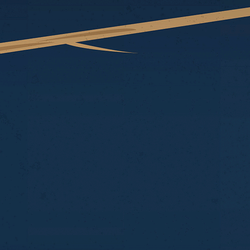 If you're a freelancer juggling many contracts, you'll likely need it, too. 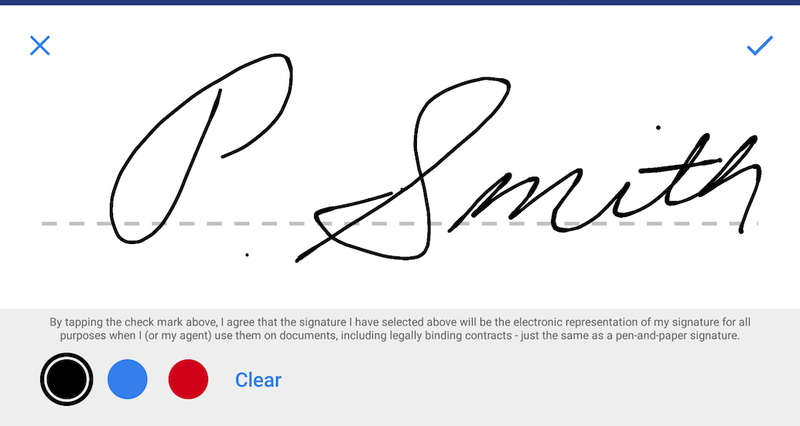 If you're only using DocuSign to sign documents, it's entirely free to use. If you're in the business of generating documents and collecting the signed copies, however, you'll likely need a paid service plan. 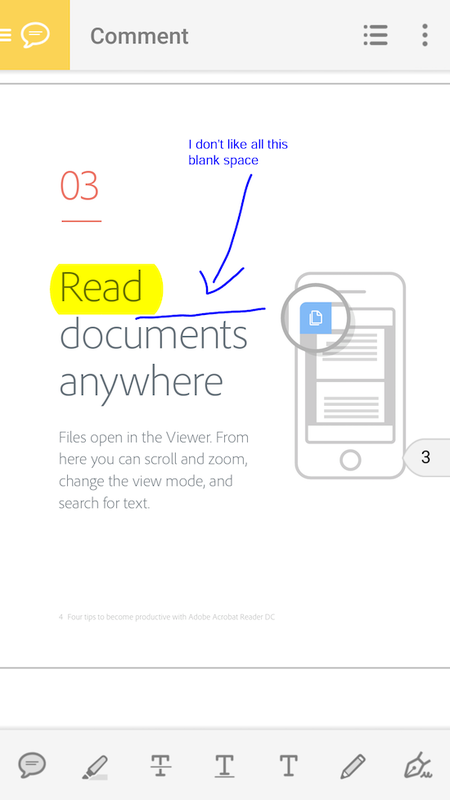 DocuSign is also available for iOS, Windows, and the web. 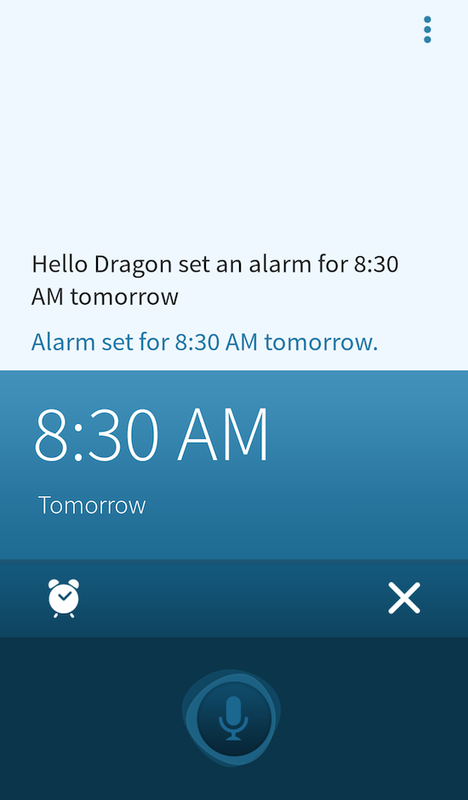 Dragon Mobile Assistant for Android is one of the best apps for controlling your phone using voice commands. When you install and set up this free app, you can use your voice to send and receive messages, post updates on social media, write emails, set reminders, schedule appointments, and more. You can enable an option that allows your phone to wake up when it hears your unique voice, even when the screen is locked. Dragon also has a setting that, when enabled, detects when you're in a moving vehicle and automatically switches to hands-free, eyes-free mode. Whether you enjoy the efficiency of controlling your phone with your voice or it makes you more productivity due to accessibility reasons, it's hard to pass up this excellent app. Having a reliable file syncing app is indispensable on your mobile device. File syncing and backup apps, such as Dropbox, give you access to your most important documents no matter where you are. When you need to show a proof of address or some other paperwork in a pinch, you can get it within seconds as long as you have the app installed. With Dropbox, you don't even need an internet connection to reach your most important documents, as there's an option to save them offline. 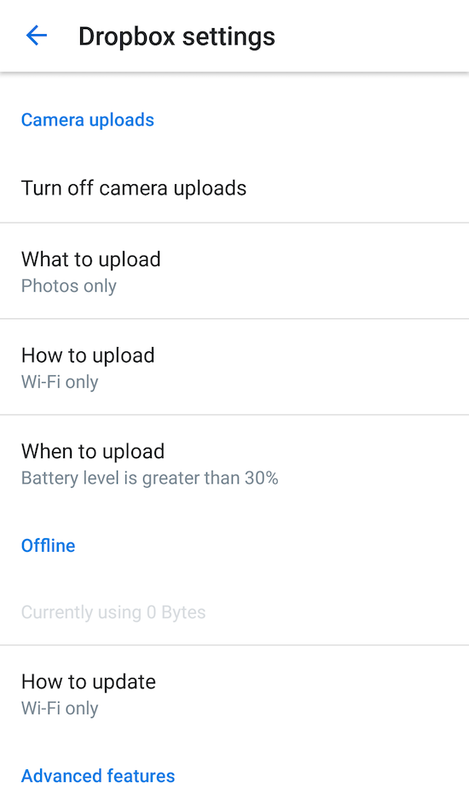 The very best file syncing services can back up photos and videos from your phone automatically, and that includes Dropbox. For its speed, simple interface, and reliability, Dropbox is one of the best file syncing apps. Use it to sync across a variety of platforms, including iOS, Kindle Fire, macOS, Windows, and the web. 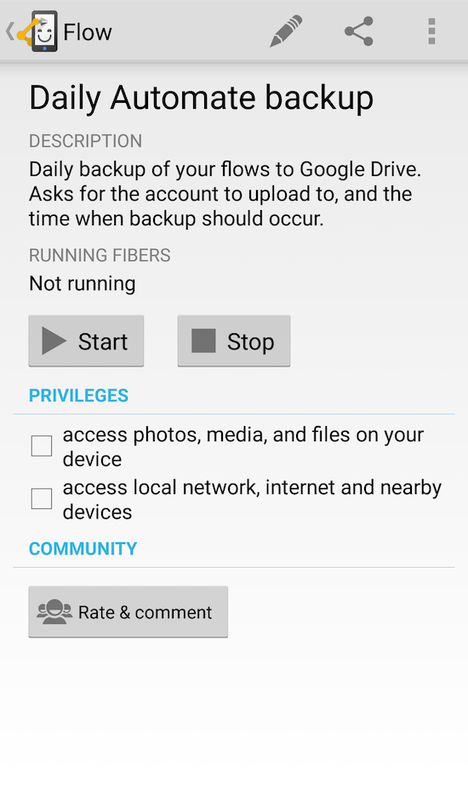 An honorable mention goes to Google Drive for being an outstanding alternative; and while it does come preinstalled on some Android phones (we said no stock apps on this list, I know), it requires that you authenticate your Google account to use it. No other note-taking app has as much functionality as Evernote. 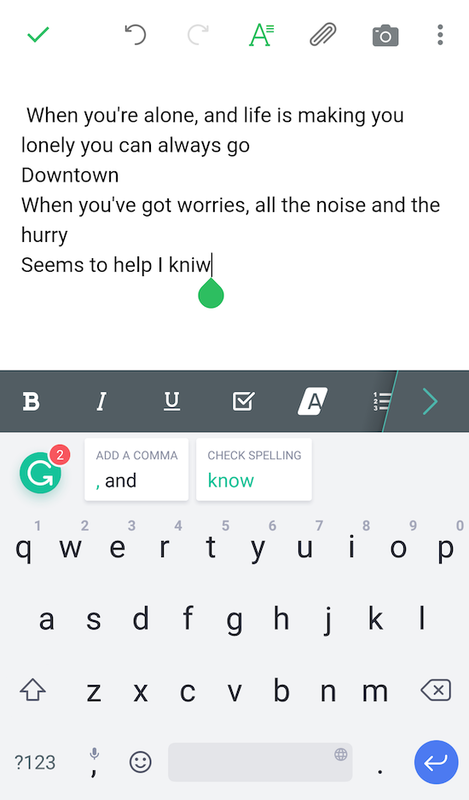 This app, which is free for Android, lets you quickly capture any type of note, whether it's a voice memo, checklist, text note, or an image. You can snap photos that contain text, such as a page of a book or a whiteboard from a meeting, and Evernote will not only save them, but also make the text searchable using optical character recognition (OCR) technology. OCR works for both typed text and handwriting. It's an excellent app for productivity enthusiasts and essential on Android. 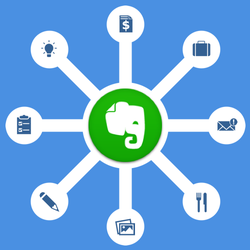 Evernote also has apps for all major platforms, including the web, though you'll need a paid account to sync notes among other devices. OneNote deserves an honorable mention for offering nearly all the same features as Evernote, but for free. Using the wrong word or having grievous typos in an important message or document can cause embarrassment and put real strain on relationships. Grammarly goes a long way to preventing those kinds of mishaps, both for single words and words in context. It's an online tool for checking spelling, grammar, overused words, and other matters related to writing, and it now has a mobile app (for both iOS and Android). It installs as a keyboard app and reviews your spelling as you write. When you're ready for more contextual advice, you can run Grammarly on an entire document or message to have it look for mistakes. The app is free, though some features are reserved for Premium subscribers, such as suggestions for improvement in style and vocabulary. Because it's implemented as a keyboard app, it works in any Android app that uses the keyboard. If you write a lot of important memos from your phone, it boosts your productivity by checking your text faster and more efficiently than if you used your eyes alone. Like any solid password manager, LastPass remembers the logins and passwords to all your online accounts and keeps them secure. LastPass shines on Android by automatically logging you into your accounts without you having to copy and paste anything. Additionally, it can safely and securely autofill other fields, such as your shipping address when you make online purchases, which speeds up practically everything you do on your phone or tablet. LastPass has many other functions, too, such as generating secure passwords, giving you space to keep secure notes, and syncing your password across devices. 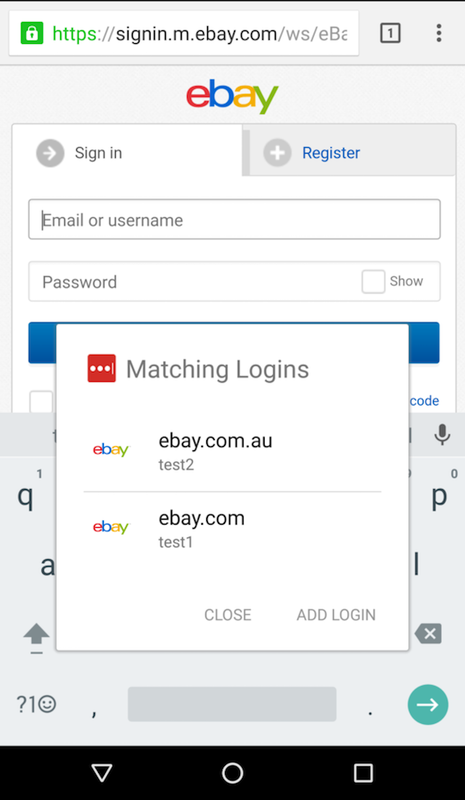 Because it's so well integrated with the operating system, LastPass is our favorite password manager app for Android. Software for creating diagrams and flowcharts is a lifesaver for anyone who isn't a designer but needs to make a few visuals every now and again. 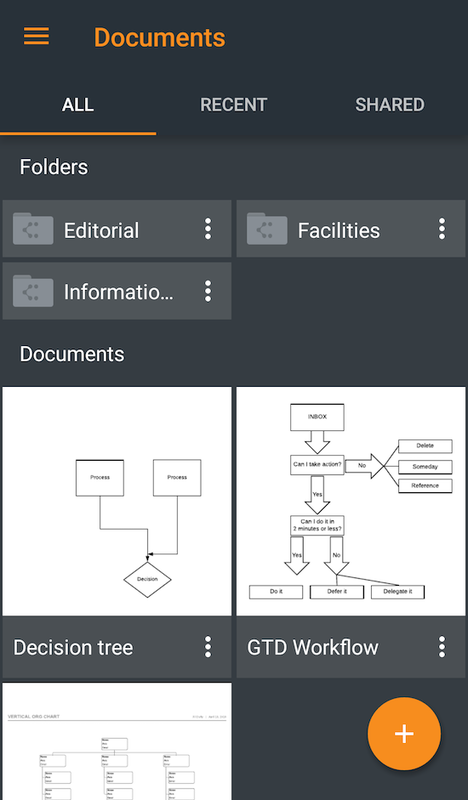 Lucidchart, which is available for Android as well as iOS and the web, is the best app for doing so. This app has universal appeal in helping people create professional diagrams for both work or personal use (people love it for drawing family trees, for example), and its Android app is surprisingly easy to use. You create diagrams using a bank of premade shapes, many of which are designed for specific types of visuals, such as org charts, decisions trees, room diagrams, and so forth. All the diagrams you create with Lucidchart sync between other places where you use the app, including the web, where Lucidchart supports collaboration in a manner that's nearly identical to collaboration in G Suite. Nirvana GTD for Android, also called NirvanaHQ, is a to-do app for people who follow the Getting Things Done methodology. 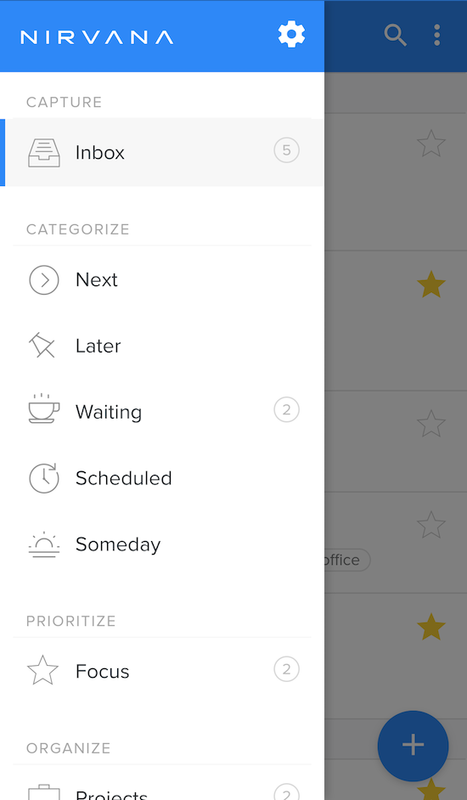 The app comes preset with lists labeled Next, Waiting, Later, Scheduled, and Someday, plus an Inbox for capturing ideas on the fly. 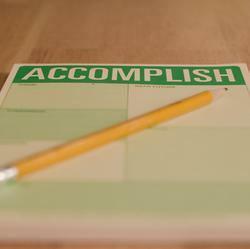 Each task can contain a time estimate, as well as an energy level estimate, which helps you identify tasks you should do when you're starting to flag but still want to get things done (low-energy tasks), or those that are best to tackle when you're pumped and focused (high-energy tasks). Nirvana is also available on iOS and the web. 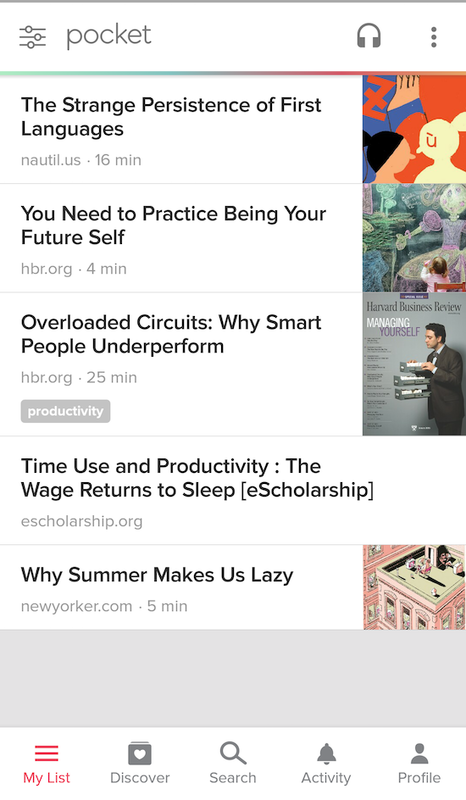 While Pocket may not seem like a productivity app, it is in the sense that you can focus on what you need (or want) to read without most of the usual trappings of the web and its distractions. There are advertisements in the free version of the app, which can certainly lure you away from your essential reading, although having a paid membership gets rid of these potential productivity distractors. Either way, Pocket still offers a much better experience than scrolling endlessly through news feeds or articles in other apps. Pocket is also available on a variety of platforms, including iOS, Chrome, macOS, and Windows. Pushbullet lets you share information across devices quickly, easily, and simply. When you use a variety of devices, such as an Android phone, and iPad, and a Windows laptop, Pushbullet allows you to send any information or files you need from one device to another. In its design and setup, it looks similar to a multiplatform messaging app. You can even use Pushbullet among friends as a messaging app. Maybe you want to send an iMessage to someone, but you'd rather type it out on your Windows computer. 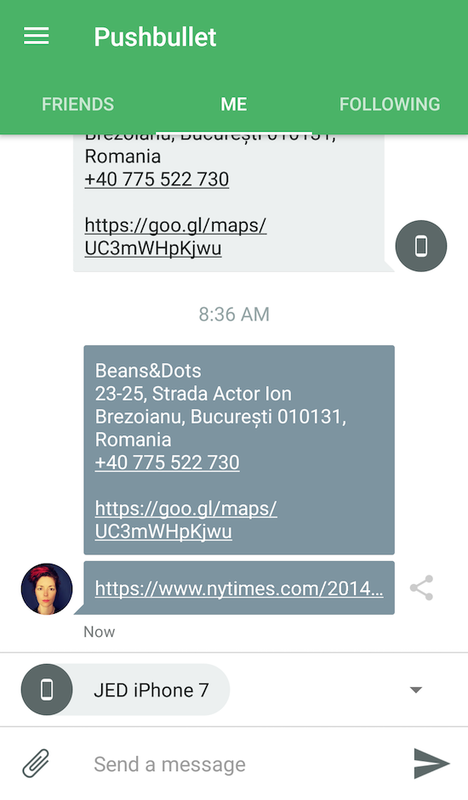 Type away, then send the contents to your iPhone via Pushbullet. And finally, copy and paste the message into the app of your choice. The app has other features as well, such as news notifications, if you don't find them too distracting from focusing on your productivity. 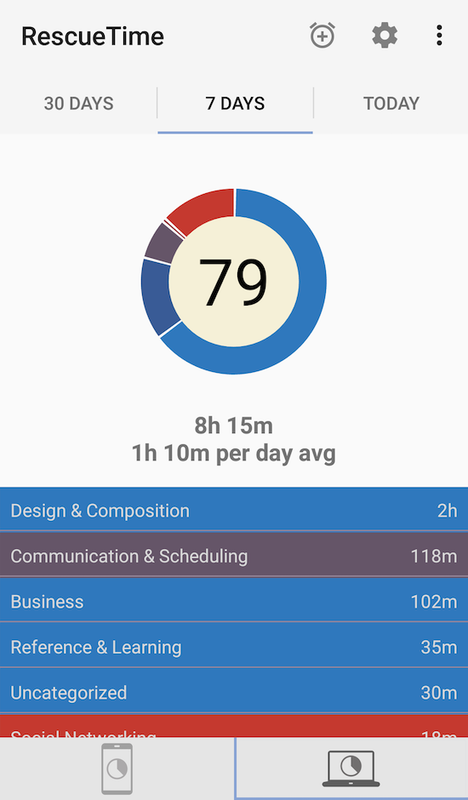 RescueTime is an app and service that passively watches what you do on your computer and Android device and records how you spend your time. The idea is to track your time, not necessarily for billing purposes, but so that you can see an accurate snapshot of your daily, weekly, and monthly productivity. When you install and set up RescueTime, you indicate what kinds of apps and websites are productive, unproductive, or somewhere in the middle. Then it tracks how you spend your time and creates graphs and reports that classify how much time was productive or unproductive. 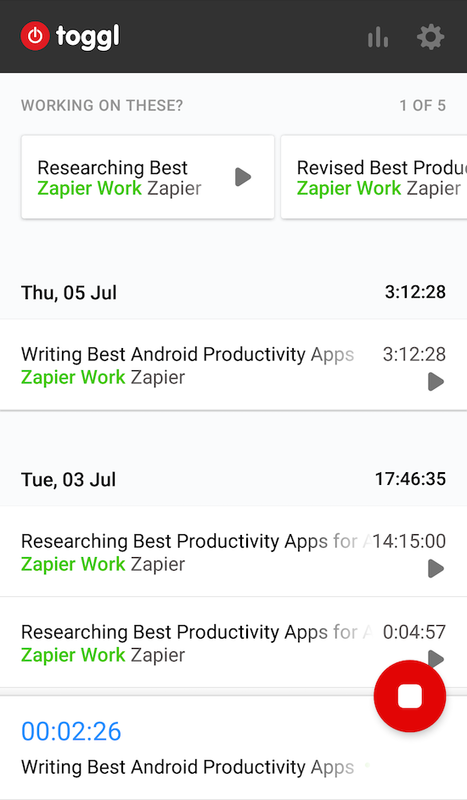 Because the Android operating system allows RescueTime to see which other apps you use, it works nearly the same on Android as it does on desktop. From the Android app, you can analyze the reports from your desktop data, too. 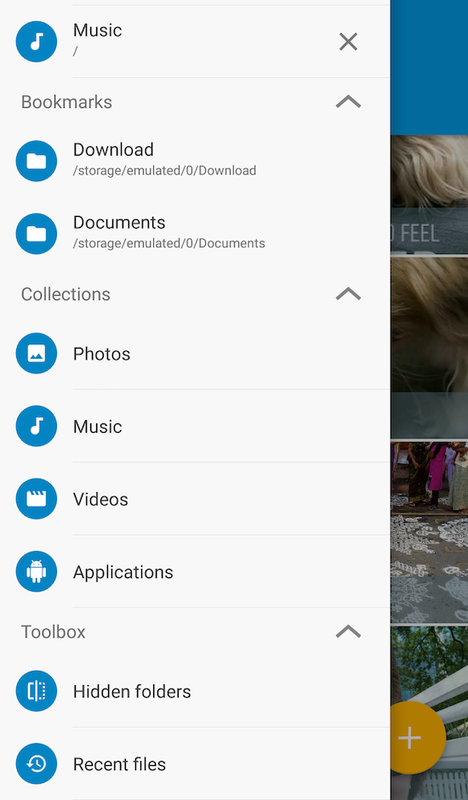 Android gives you wide-ranging access to files stored on your devices, as well as the devices' controls, but delving into them without the help of an app can be cumbersome and overwhelming. 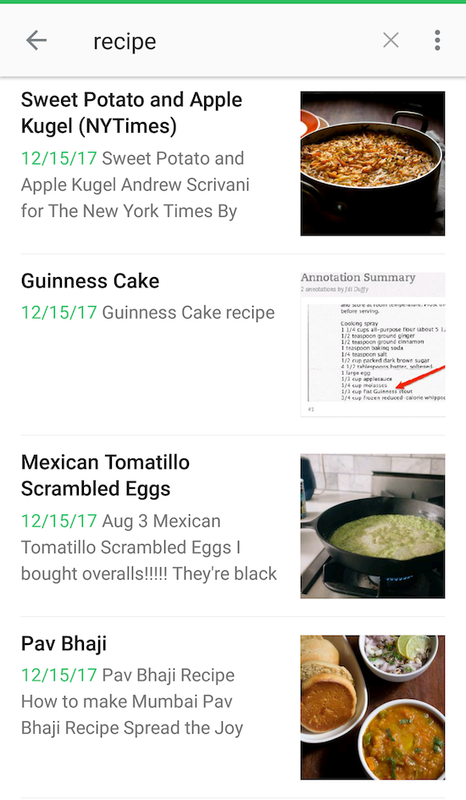 Solid Explorer is an inexpensive Android app made for navigating your device and everything on it in a friendly interface. It also includes archiving tools so that you can stuff multiple files into a .Zip or .7zip package. When you need to dig around in your Android device, Solid Explorer saves you time and keeps the experience user-friendly. After many exasperating experiences with work timer apps for Android that don't run properly or are annoyingly difficult to quit, Tide feels downright refreshing and calming. 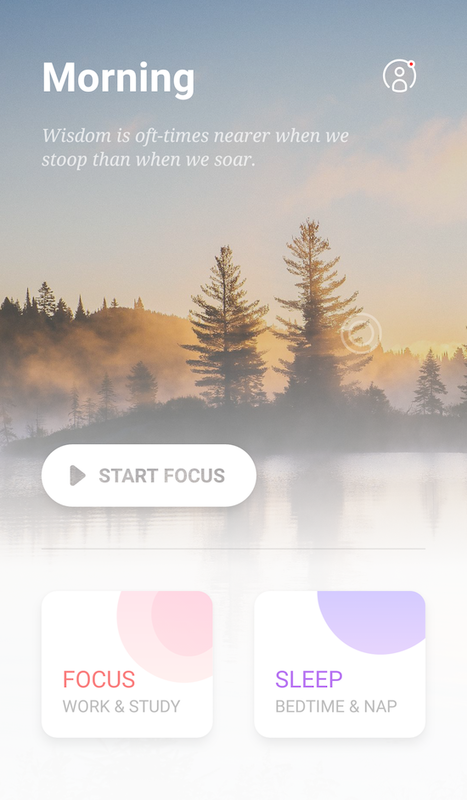 This app, which is also available for iPhone, has a timer that you set for the length you want to work, and then it plays a natural white noise track until your focus period is up. Tracks include natural sounds, such as ocean waves and rainfall. Additional audio files cost $0.99 to download. Plus, after any timed work session, you have an option to time a short break, thereby using the Pomodoro productivity method. We also love that Tide does double-duty as a white noise app for falling asleep. 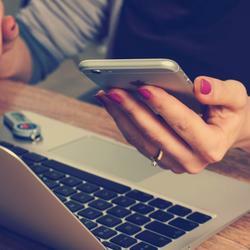 Toggl is among the best time-tracking apps, and it stands out on Android for its ease of use. If you need to track time spent in meetings, at a client visit, or while doing anything when you're away from your desk, Toggl is the best mobile app for the job. You can use it to keep tabs on billable hours or to record time on task for your own productivity purposes. Toggl also wins hearts for having a free tier of service that's actually quite useful, though you may need to pony up to a paid plan for additional reporting tools and project management features. The service works across a number of platforms (Chrome, iOS, Linux, macOS, web, Windows), and time you record via the Android app syncs to any other place where you log into Toggl. VMware Boxer, also known simply as Boxer, makes it easy to manage email on an Android phone or tablet because it takes a mobile-first approach. 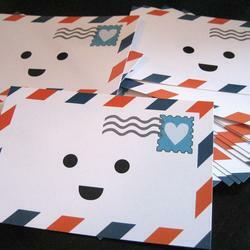 It lets you connect multiple email accounts and manage all your messages from one interface. The interface is highly customizable and suited to the mobile environment. 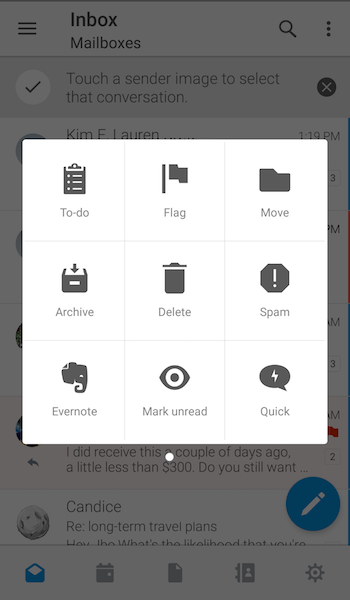 For example, you can assign different actions, such as archive or clip to Evernote, to four different swipe gestures: a short swipe to the left, long swipe to the left, short right, and long right. The app has options for adding reminders to messages as well. Boxer also integrates your contacts and calendar information right into the same app, which means you don't have to flip back and forth to other apps while answering email, and that can help keep you productive. An honorable mention in the email app category goes to Inbox by Gmail, which automatically sorts messages in Gmail. Looking for more productivity app options? Check out our roundups of software that everyone needs: a backup tool, an email app, a calendar app, a cloud storage app, and a to-do list. There are dozens of options for each, many of which work on the web and across platforms, so check the linked roundups above for recommendations there. Learn more about how we select apps to feature.